Machine safety in the factories has evolved in recent years. Safety components and systems are no longer installed only to satisfy the minimum requirements and laws. Today the companies have realised that safety is also linked to performance and to the brand image. Unsafe environments can be damaging to a company’s reputation and decrease the performance of the applications. This has put safety as one of the priorities of end user and OEM when designing the project of a machine in the modern factory. Safety regulations along with advancements in machine safety standards have dramatically reduced the risks of workplace accidents over the years. Still, industrial accidents claim the lives of several hundred workers each year, for example it is estimated that more than 100,000 workers are injured in the furniture factories all over Europe. The gravity of accidents is variable and leads to probably almost 1% of lost working days. This generates costs for the furniture manufacturers and for the society. As reported by HSE in a recent report, the woodworking industry has one of the highest accident rates in manufacturing, most of which are caused by contact with moving machinery. This accounts for 25% of all major accidents. Unfortunately zero risk is impossible to achieve, but every company should do their best for reducing it at the minimum. When these companies use proven safety technology, they achieve much better performance goals and protect their environment. In the long term, this will help to drive sustainable progress and capture even more valuable opportunities. Considering an industrial machine using variable speed drives for energy efficiency purposes, having these devices integrate also safety features result in: respect of the safety regulation, benefits for people and applications, much more cost savings for the OEM. Let’see all of these benefits in details. Old machines were usually equipped with safety relays, contactors, programmable logic controllers and so on; today, much of that safety equipment can be integrated into the variable speed drives. In fact, variable speed drives are playing an increasing role in the design, implementation and achievement of safety for several reasons including increasing automation, the demand for increased productivity, and the desire to reduce the physical labor of operators. The IEC 61800-5-2 standard defines functional safety of variable-speed drives. It is in fact a functional safety standard for components derived from IEC 61508 – the standard, based on European Machinery Directive 2006/42/EG that drives the functional safety of machinery in Europe. All machines shipping to factories and plants in Europe are supposed to comply with this directive. Let’s consider Safely limited speed: having this feature integrated into a drive means allowing the machine to run at a limited speed. 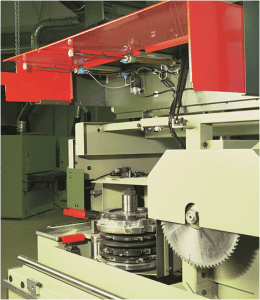 This function can be activated when a safety door is opened or light curtain crossed to slow down a machine to a speed that is no dangerous to the operator. In such cases, production is not stopped. The operator can come close to the machine and do commissioning work or repair work; having the machine in motion allows testing to be done on the spot. The motor and its drive switch to an advanced safety level and continue running at reduced speed until the door is reset, while monitoring the situation in case an immediate stop is required. This ability to monitor and control a situation means that considerable downtime can be avoided. Performance metrics can add up to considerable gains for a factory. If there is less downtime, then there is greater production time and more product throughput. Many factories are using performance metrics to not only measure production, but also stoppages; this can be greatly beneficial as a way to outperform the competition. Benefits can be gained in different sectors, for example, in food production. Considering a mixer machine, SLS allows to start the pasta processing with a limited speed as it won’t cause injury to the users and at the same time making better dough quality. Talking about STO (Safe Torque Off) this function is generally used as a safe reset lock or with the safety function SS1(Safe Stop 1) in order to define and monitor a deceleration ramp during the stop. It brings drives safely to a no-torque state (e.g. emergency stop) and prevents an accidental unexpected start-up. STO is therefore built into the drive as an electronic safety function to be used as an alternative to traditional electromechanical methods such as contactors. Embedded Safe Torque Off minimizes downtime for applications requiring occasional intervention. Having a drive with different safety embedded functions enables several levels of protection, i.e the Safe Torque Off (STO) ensures safe working when the protective door is open and a Guard Door locking function enables a safe door opening after a predefined set timer. By having a Safe Torque Off input integrated in a drive, the cost of a contactor and its cabling can be avoided. In some applications, delaying the opening of the guard is also required. Devices suitable for this requirement can provide a significant increase of protection level for most types of machines allowing the prevention of access and prevention of dangerous movements. Using the guard door locking embedded feature helps to save the cost of an additional timer because in this case the timer is a drive functionality. To sum-up, a variable speed drive with embedded safety features helps to save cost in additional components installation and cabling (contactors, timers, etc.) while preventing accidental restarts or dangerous hazards to people. It means that the drive can be installed as part of the safety system for an electrical/electronic/programmable electronic control system in order to ensure the safety of a machine or industrial process within the meaning of the Machinery Directive 2006/42/EC . What challenges are you facing in designing your machine safety chain solutions? Send me a message in the comments below. I would love to hear from you. Thanks for sharing! Very useful tips. Absolutely rightly said Safety systems enable much more capable production lines, which may be able to continue production at a reduced speed even if a machine is being adjusted or materials loaded. Thanks for your comments! exactly, that one is the major benefit in term of production capability and in a drive like Altivar 320 is enabled through the embedded function SLS (Safely limited Speed). Nice! thank you for sharing these great benefits with everyone. Machine safety in the industries has developed recently, great. Safety techniques allow much more capable manufacturing collections, which may be able to continue manufacturing at a decreased rate even if a product is being modified or components packed. Exactly, shutting down the entire machine can be time-consuming and inefficient – causing excessive downtime that hinders productivity. Using Altivar 320 with embedded safety functions like Safe Limited Speed or Safe Maximum Speed you can allow an operator to access a machine at a reduced speed (avoiding switching off the power) to perform a maintenance function, i.e. clear a jam or teach a robot.